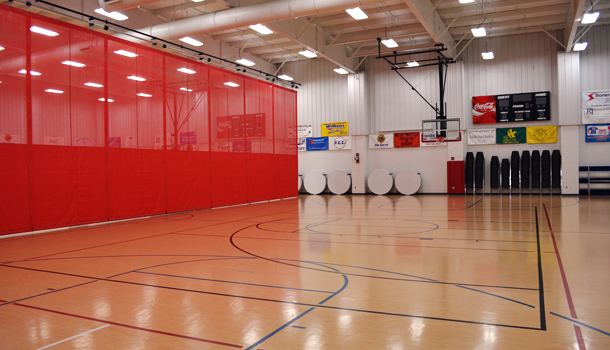 The Goodrich SportsCenter has Mondo flooring, which has a softer feel compared to hardwood flooring, a walking track, and a mechanical curtain that can be lowered to divide the SportsCenter into two sections. 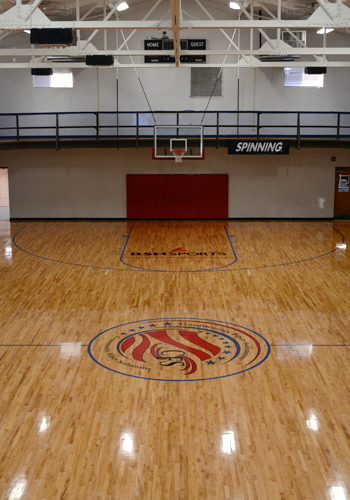 The Old Armory Gym, Jay Community Center’s main court, features a hardwood playing surface, upper level balcony circling the entire gym, and can seat approximately 300 people for a banquet style gathering. Limited number of tables and chairs are available upon request. Available for parties needing to service food and beverages.